I finally found what I want for my birthday present! Ha ha ha! 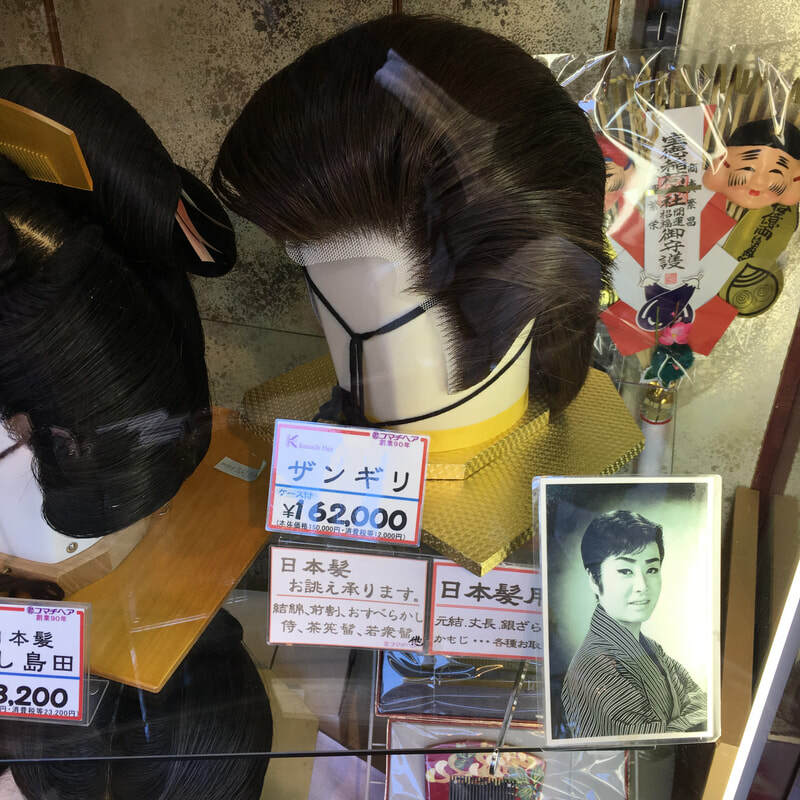 This was is a shop in the touristland leading up to Sensoji Temple in Askakusa, Tokyo. In the 1990s and 2000s, "Goth Girls" would hang out it Harajuku to get their photos taken by tourists and sightseers. She seems to be the only one left. Can You Find a Tree in This Picture? 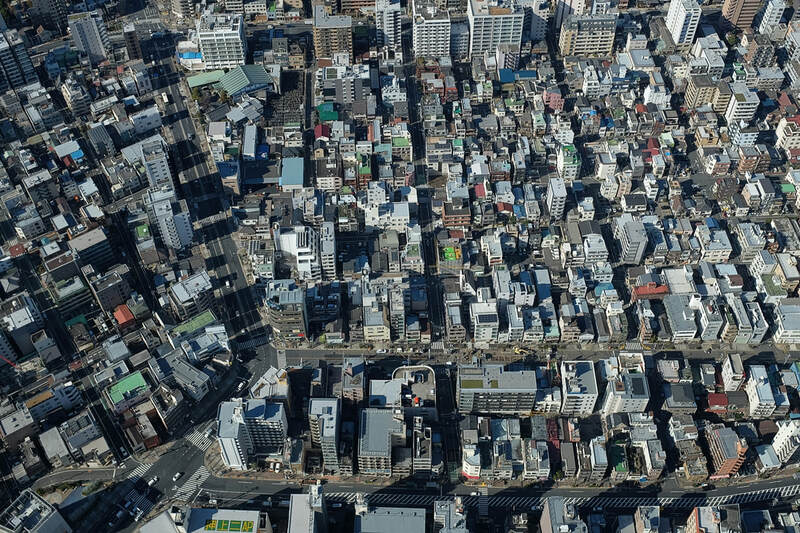 The scale of Tokyo is mind-boggling. According to Wikipedia, 43 million people live in the Kanto, which is Tokyo and the surrounding area. 36.5 million people live in California. Imagine taking California and jamming it all into Los Angeles you get a hint about how immense and packed Tokyo is. Amazingly, it all works. Very well, in fact. Crime is low and the people are kind and polite. While some areas are really busy with people, other places are very quiet and fun to explore. Somewhere in this photo is a great Mom and Pop restaurant with awesome food and low prices. Oh yes, there are some trees in the upper and lower left corners of this image. I found them using the full screen on my 27" desktop. Shitamachi, or lower town, is the older part of Tokyo on the east side. I find this area to be much more interesting to photograph than the modern, flashy areas. 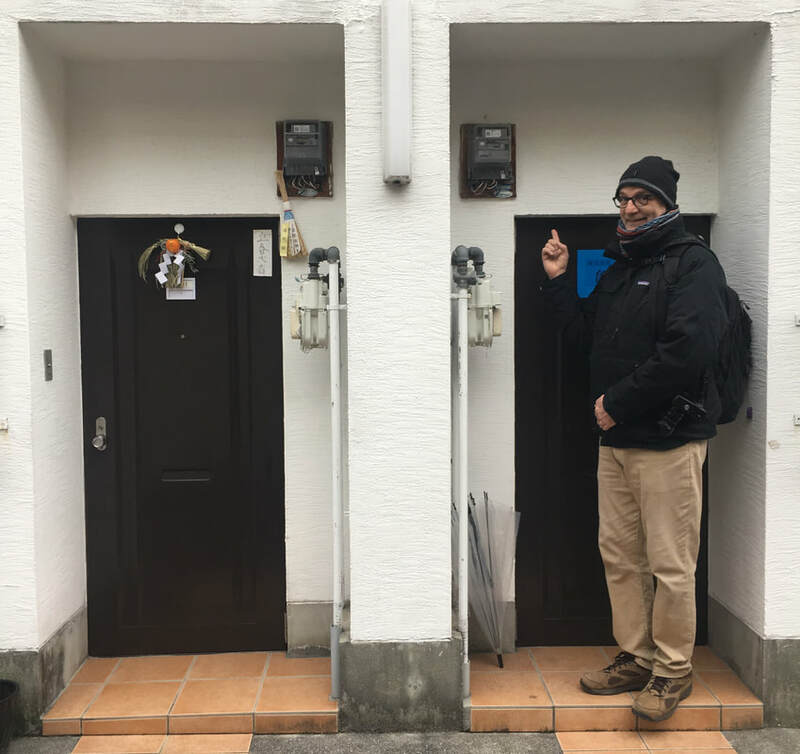 There are lots of places like this in Japan. 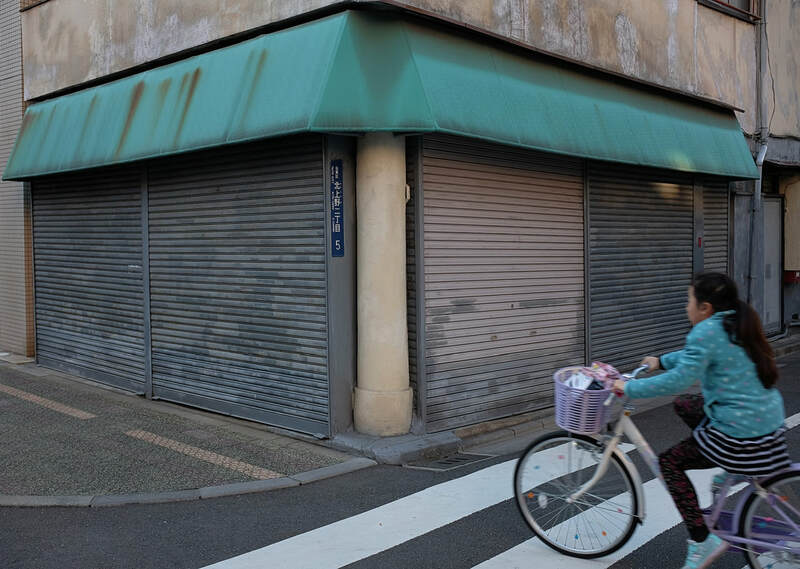 In this shot, I really like the muted colors of this closed up shop. I got lucky that the girl's coat color match the color of the awning. Cordelia reviews her pictures after her shoot with me last week. We worked together to pick the best shots. You only get a moment to make a good first impression. 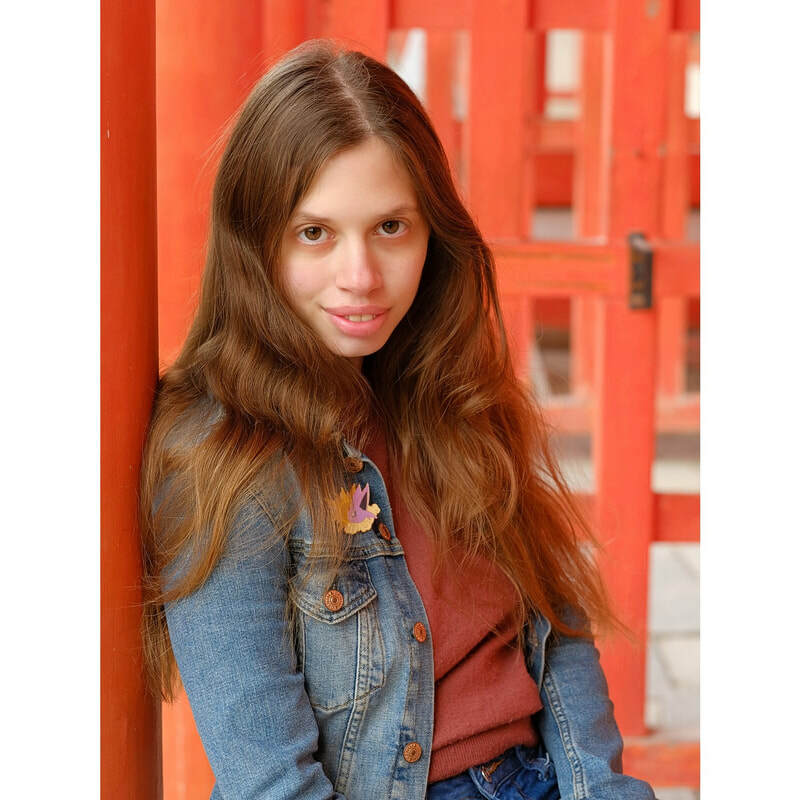 Contact me if you want professional location photos for your business, social media or dating profiles in Kyoto and the Kansai region. PaulCrousePhoto.com. 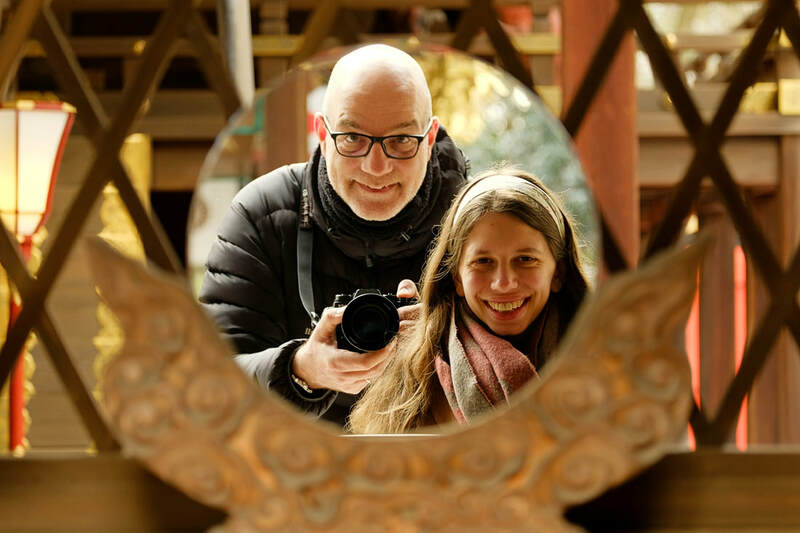 Here is a selfie of Cordelia and I in the shrine mirror at Kawai Shrine here in Kyoto during her recent photo shoot. 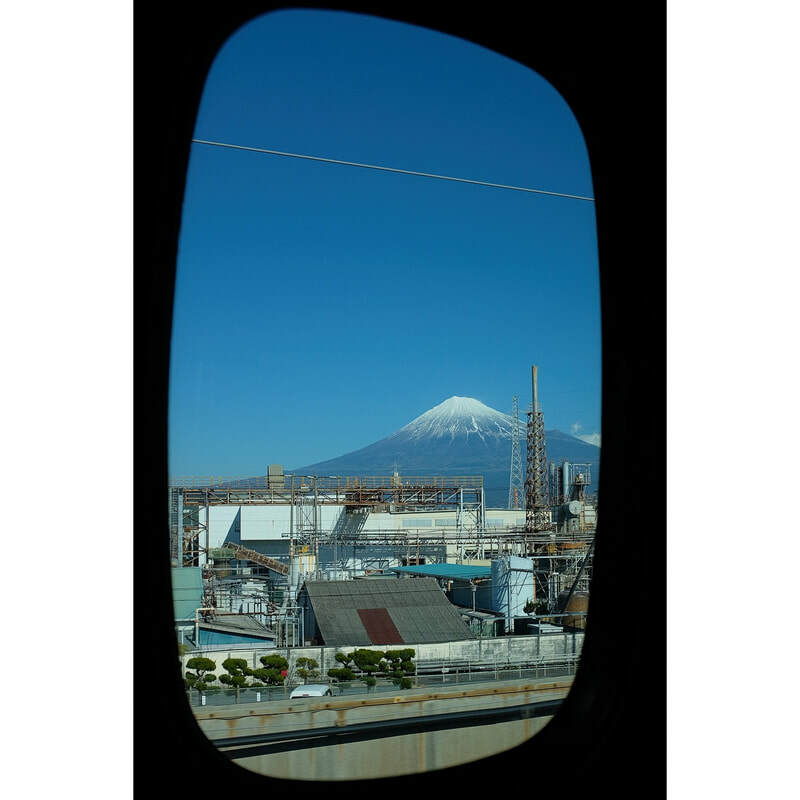 "The circular mirror of Shinto is a potent symbol. 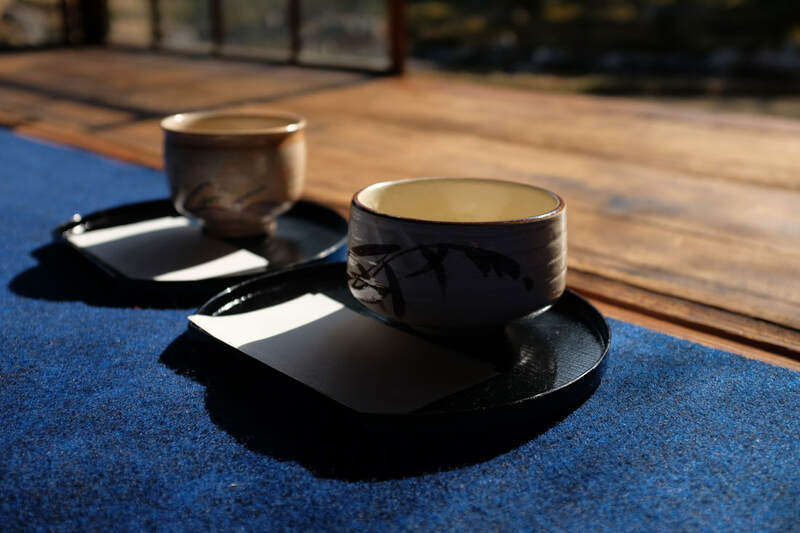 One often sees it when visiting shrines, where it stands on the altar as representative of the kami. It can play a more vital role too, for it sometimes functions as the ‘spirit-body’ (goshintai) of the kami. The idea is that the spirit enters into the object to take physical form. The mirror thus acts as an interface between the physical and spiritual realms of existence. What could be more appropriate for the meeting between them than the illusionary nature of a reflecting mirror?" Of course, if you look into the mirror to see a god, who do you see? 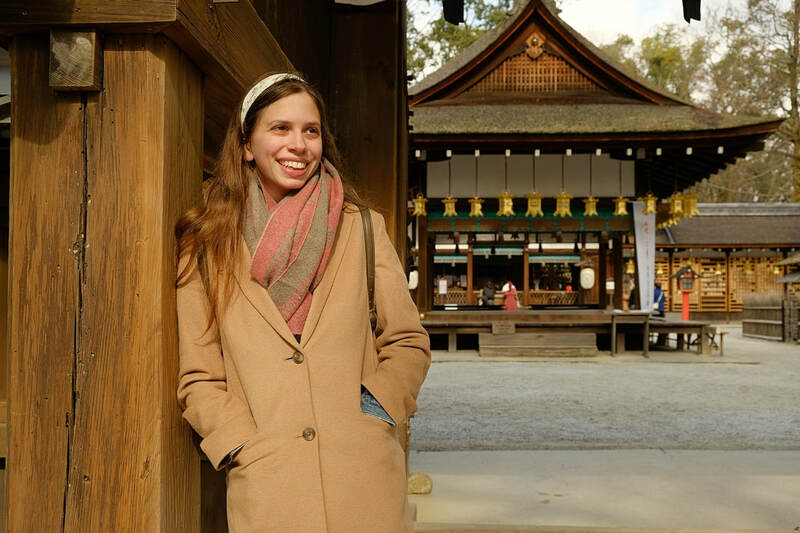 Here is a portrait of Cordelia at Kawai Shrine here in Kyoto from her recent photo shoot. Here is another picture of Cordelia from her recent photo shoot. 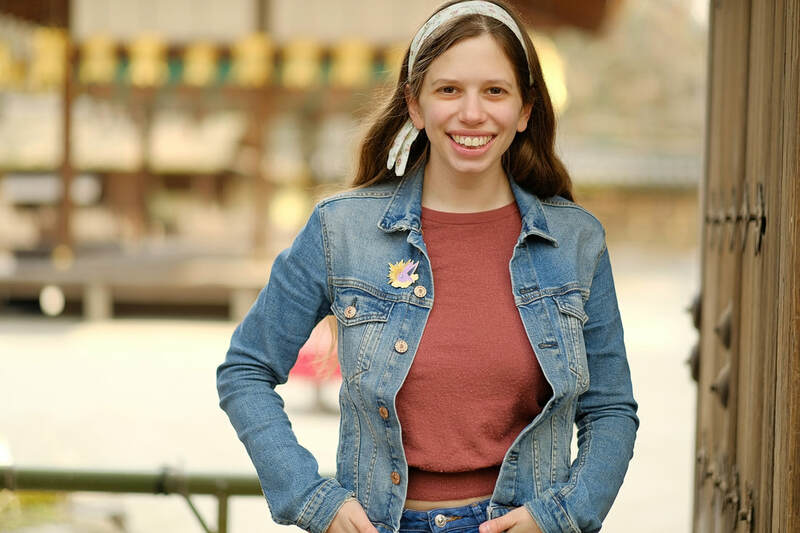 Professional pictures make a great impression on your social media and dating profiles. Contact me at PaulCrousePhoto.com if you want great quality portraits at reasonable prices. Here is a portrait of Cordelia at Shimogamo Shrine. 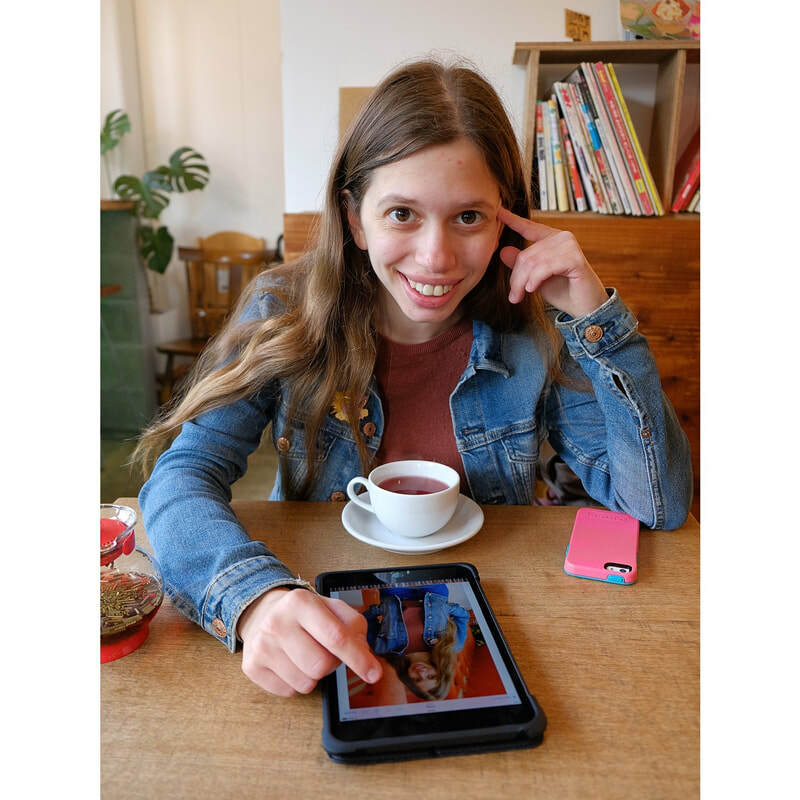 She wanted to better pictures take for her social media profiles that just the usual selfies taken with a mobile phone. I think this shot worked out well. 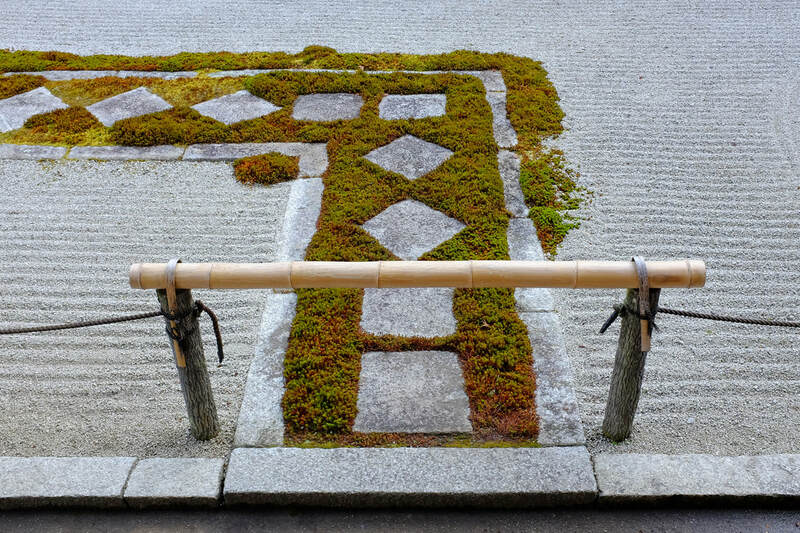 A Zen garden lends itself to simple images. These sorts of traditional Japanese gardens are actually very challenging to get good images in because there is often nothing to anchor the composition. They are very busy. It looks beautiful when you are standing there, but so easy when you look through the viewfinder. Generally speaking, symmetry makes for boring compositions (but there are definite exceptions). In this photo, the bottom of the frame is symmetrical, but the hard, right angle at top of the frame makes this image interesting. The geometry of this image obvious, but you subconsciously find certain interplays of shapes pleasing or displeasing in almost every image you see, in the same way that certain sounds work together or don't work together in music. This is at Tenjuan Temple in Kyoto. I am always on the look for of fun images. 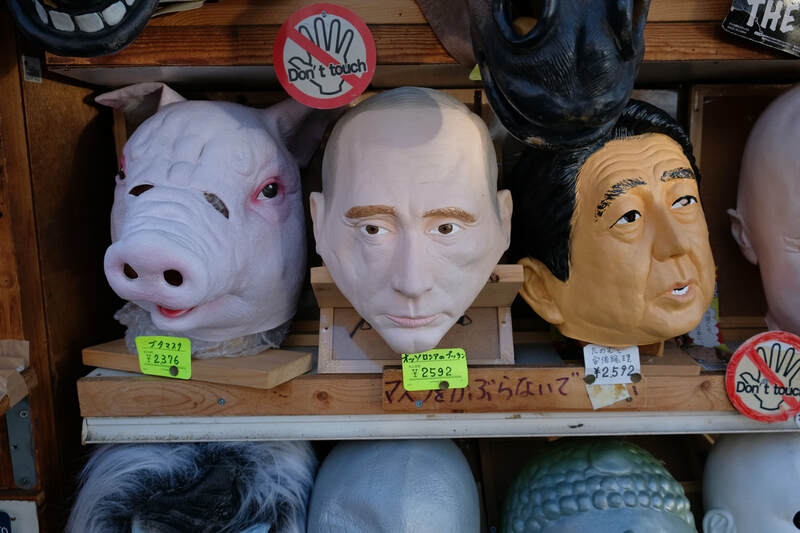 These are masks being sold on a tourist shop on the road leading up to Kiyomizu Dera Temple here in Kyoto. 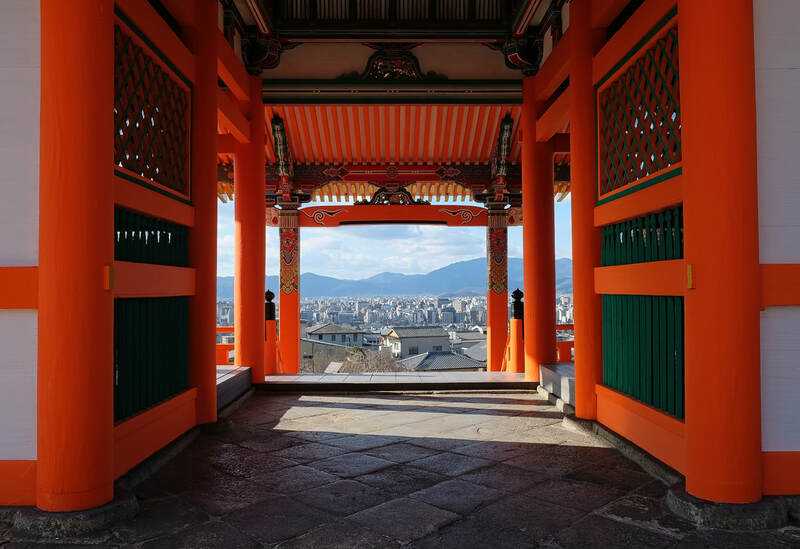 Here is a view of Kyoto City framed by the West Gate at Kiyomizu Dera Temple on a beautiful winter day. It was nice to have weather so warm that I had to take off my jacket in the sunshine. 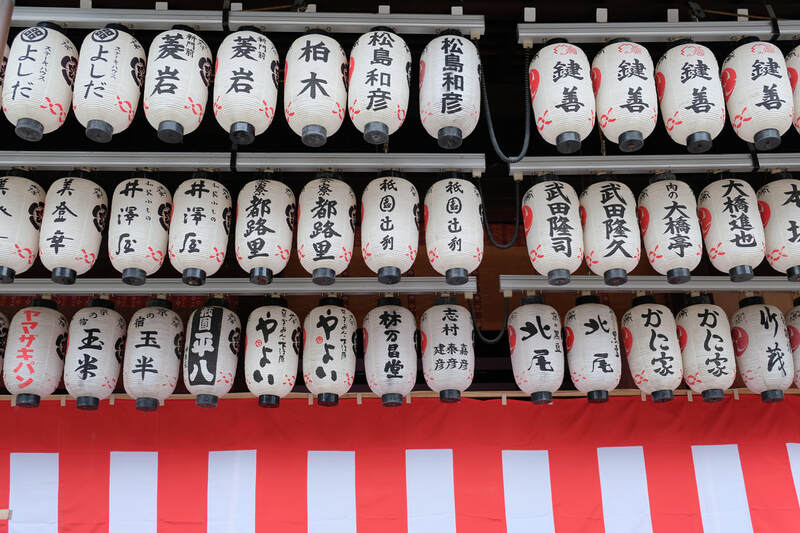 These are paper lanterns hanging at Yasaka Jinja Shrine in Kyoto with the names of businesses and individuals who have donated money to the shrine. 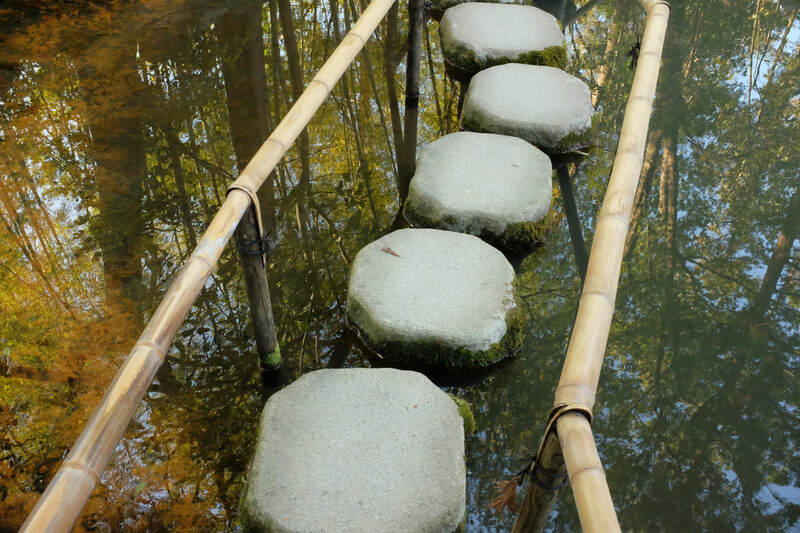 ​In Kyoto, it is very easy to just to photograph all of the beautiful historic buildings. But there is so much to see. 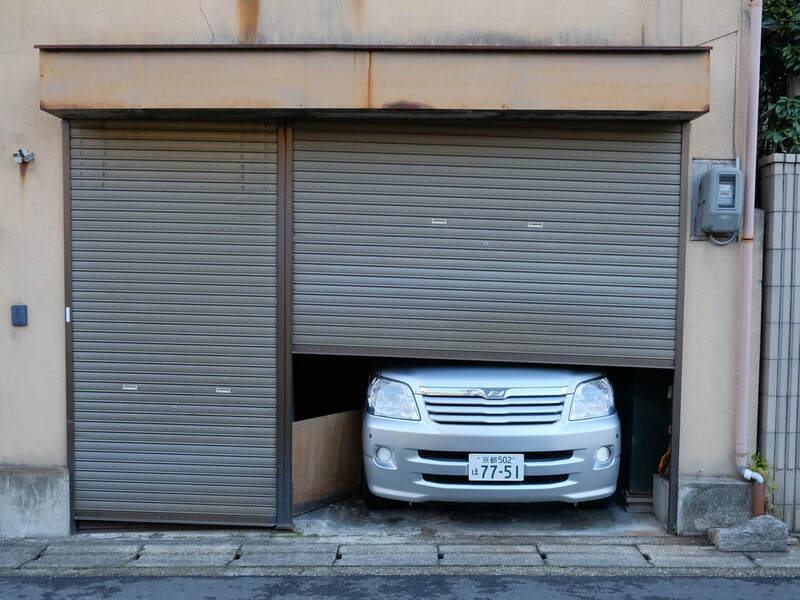 Here is a shot of a car that doesn’t quite fit in a garage. 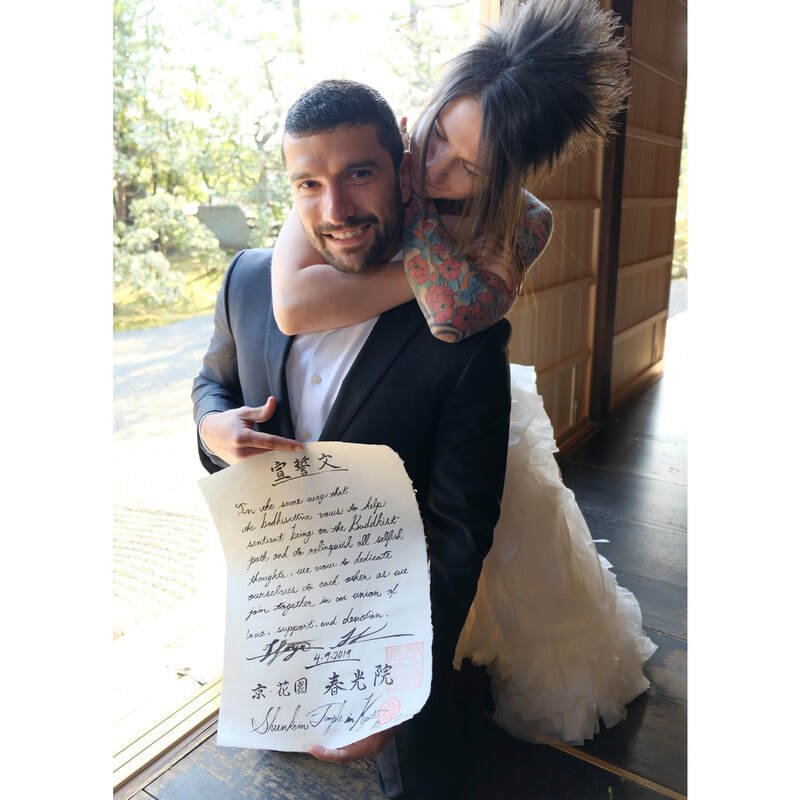 This is rather common here in Japan but it is something I never saw back in the US. So this photo tells the viewer about something they may not have known before they saw it. Urban Japan is very crowded and very square meter of space is valuable.